​Niclas Blixt holds a Master of Fine Arts Degree in Music Education (University College of Music in Örebro) and a Masters Degree in Orchestral and Choral Conducting (Luleå University). Besides professor Petter Sundkvist and professor Erik Westerberg, Niclas studied with Siegfried Naumann in Malmö, Stig Westerberg in Stockholm and Jorma Panula at the legendary Sibelius Academy in Helsinki. He also studied music psychology and musicology at Uppsala University and music education at the Royal Academy of Music in Stockholm. He has participated in many conducting programs and workshops over the world, for example École Normale de Musique (interpretation and score study) in Paris, The Wind Band Conducting Workshop (conducting) in Columbus, and The Juilliard School (conducting) in New York. The lack of opportunities for Swedish conductors in the late 90s, forced him to found his own chamber orchestra - Uppsala Sinfonietta. A successful first season along with good recordings, opened up possibilities for launching a freelance career with support from maestro Herbert Blomstedt. The Royal Swedish Music Academy awarded him two prestigious conducting scholarships, 2016 on merits and 2017 after an audition with one of Swedens foremost symphony orchestras. 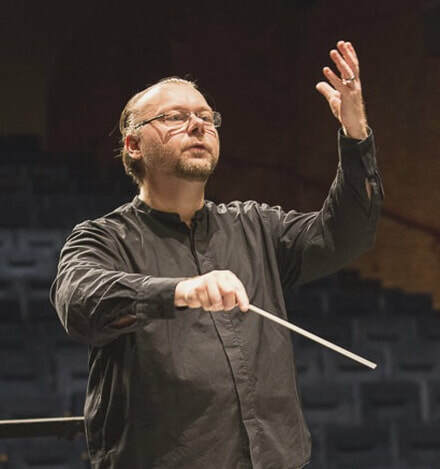 Today he holds three positions in the capital area of Sweden - as Chief conductor for Pro Musica Symphony Orchestra, Music Director for Södertälje Symphony Orchestra and Conductor for Stockholm Wind Ensemble. A passion for conducting, inspirational leadership and dedication to teaching defines his career and an infectious spirit of adventure and the belief that music exists in everyone is the trademarks of Niclas musicianship. His main focus is conducting, but he is also devoted to composing, arranging, teaching, music research and performing chamber music.